John Burnham Schwartz is the author of the novels Claire Marvel, Bicycle Days, and Reservation Road, which was made into a motion picture based on his screenplay, starring Joaquin Phoenix, Mark Ruffalo, and Jennifer Connelly. His books have been translated into more than fifteen languages and his writing has appeared in many publications, including the New York Times, The New Yorker, The Boston Globe, and Vogue. He lives with his wife and son in Brooklyn, New York. Because Haruko is a commoner, not a peeress, the Crown Prince chooses to break with tradition in selecting her to be his bride. Why does Haruko's father tell Dr. Watanabe that Haruko would be a "humiliation to Japan"? What is Dr. Watanabe's response? How is this break with tradition later echoed in the marriage of Haruko's own son? Before her wedding, Haruko stares at her own face in a mirror that once belonged to her grandmother. When she light–heartedly asks her father if he will be happy when she is gone, he replies with great seriousness. Later, when Haruko returns to her parents' home for a visit, Haruko's father excuses himself from the table. Haruko finds him staring at the mirror she has left behind. Why does Haruko state, "We both understood that an evening like this was impossible and would never happen again"? What is the significance of the mirror Haruko chose not to include in her trousseau? As Haruko prepares for her wedding, she observes, "At every turn, sometimes subtly and sometimes crudely, the same lesson was driven home: the world would greet me with abject deference not because I deserved it or wished it but because of my station, which in all things would stand above me, and indeed would outlast me." What is Haruko's attitude toward assuming her position in the royal family? Why do her parents ultimately urge her to accept her new life with courage? How does Haruko experience the wedding ceremony inside the Kashikodokoro? How does she feel as she joins the Crown Prince in the shrine? Why does Haruko believe the crows on the roof of the shrine mock "the foolishness of men"? What causes Haruko's "breakdown"? Why is Yasu kept from her during this time? How does Haruko's visit at her parents' home affect her? When Yasu first proposes marriage to the accomplished Keiko Mori, she refuses him. Haruko meets with Keiko and tells her that if Keiko marries Yasu, Haruko will do everything she can to protect her within the royal family. Haruko relates, "Riding home alone from our secret meeting late that afternoon, some gathering sense of responsibility for this young woman's future happiness clung to me; and it felt not like triumph, but already, somehow, like remorse." Describe Haruko's inner conflict over Keiko's decision. Feeling as she does about her own life, why do you suppose Haruko is willing to persuade Keiko to accept Yasu's proposal? How does Miko's visit affect Haruko? Why does Miko confess that after seeing Haruko's photograph in a magazine years ago, Miko had been a coward? Why does Haruko say, "Talking with you now is like remembering how to eat"? As they watch their son's wedding ceremony on television from their residence, how do Shige's and Haruko's reactions differ? How does Haruko feel about her husband's indifference? Do you believe she truly loves him? After the birth of her daughter, Keiko takes refuge in Karauizawa. When Yasu undertakes a trip to Europe without her, the royal family claims Keiko is suffering from an "adjustment disorder." How does Keiko respond when Haruko visits her at Karauizawa and tells her, "You must take Reiko away from here and never come back." Do you believe this is good advice? After convincing Keiko to marry Yasu in the first place, why is Haruko now suggesting Keiko flee? What does this tell you about Haruko's state of mind? In the closing pages, Haruko's driver Okubo hands her an envelope marked with two cranes in flight. 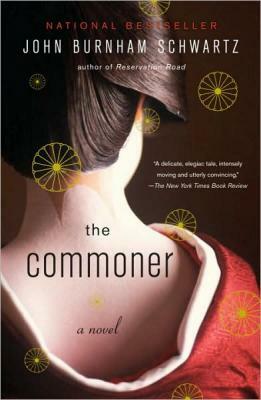 What does Haruko learn about where her daughter–in–law and granddaughter have gone? How does she feel about their disappearance? Describe the significance of this event for Haruko. To what degree does the book's ending resolve Haruko's own internal conflict?